The 19-year-old EDM star's biggest single 'Faded' was remixed by the dutch superstar and he would love to get into the studio and produce a track with him. He'd also love to get a female pop vocalist on one of his tracks particularly Ellie Goulding, Adele or Zara Larsson. Alan exclusively told BANG Showbiz: "I would say I'd love to collaborate with any artists but I would say that on my wishlist Its Tiesto. And if I was to collaborate with a vocalist, I would say maybe either Ellie Goulding, Adele or Zara Larsson." The British-Norweigan hitmaker was thankful for Tiesto - whose real name is Tijs Michiel Verwest - for spotting his music online and he continues to be his mentor, which is a "dream come true" for him. Alan - who recently dominated the Billboard Emerging Artists Chart - said: "Tiesto is one of the first major artists that picked up my music and supported me in the beginning. He's a very friendly person and he's been helping me around and I would say that getting to do that with Tiesto was like a bedroom producers dream comes true for me!" 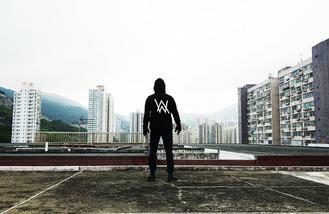 Alan Walker's new single 'Sing Me To Sleep' is out now. You can also catch Alan at Creamfields this weekend.